ART HEALS. It's a simple statement. But for a participant in Magee's Art Therapy Program, its meaning is layered and complex, a reflection of the physical and psychological journey toward recovery after a serious injury or illness. This journey isn't possible without you. Join us on Thursday, October 24, 2019 to view patient artwork, enjoy refreshments, meet the artists and former patients, and learn about art therapy at Magee. Click here for ticket/sponsor form. 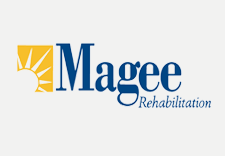 Or to purchase tickets, contact Magee's Development Department at (215) 587-3090 or email giving@mageerehab.org.